On Friday afternoon and yesterday the British co-op movement met together for the annual Co-operative Congress, held this year in Wakefield. I’ll post some comments here in due course about the event itself, but my first blog has to be about the venue. The conference was held in the recently restored Unity Works, once upon a time the main department store for Wakefield Co-operative Society (built with proper co-operative pride early in the twentieth century), later a venue for punk and heavy metal bands, but more recently run down and – for more than a decade – boarded up and derelict. The effort to bring this listed building back into life – as a combination of conference centre, music venue and workspace for creative businesses – is a fantastic achievement, undertaken by a specially formed community benefit society and helped on its way by a successful community shares issue. 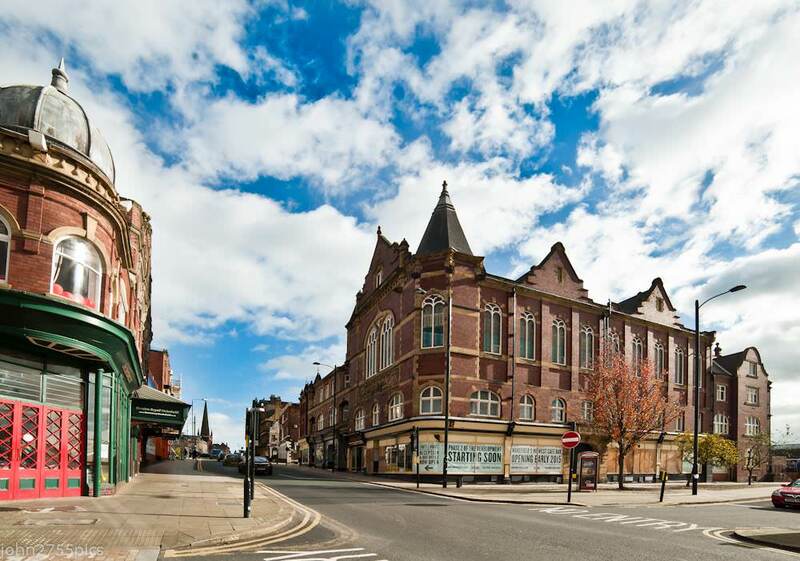 The end result lifts an area of central Wakefield which was previously economically depressed. Personally I’d have liked delegates at the Congress to have been given a short account of this initiative from the platform (Unity Works is, after all, a Co-operatives UK member organisation) but unless I missed it no such opportunity was taken. I noticed the name of Chris Hill, who was the development director for the project, on the delegates list but didn’t have the chance to congratulate him and his colleagues in person. I’m doing it here instead. This entry was posted in Co-operatives, social enterprise and tagged Co-operative Congress, Co-operatives UK, Unity Works. Bookmark the permalink.